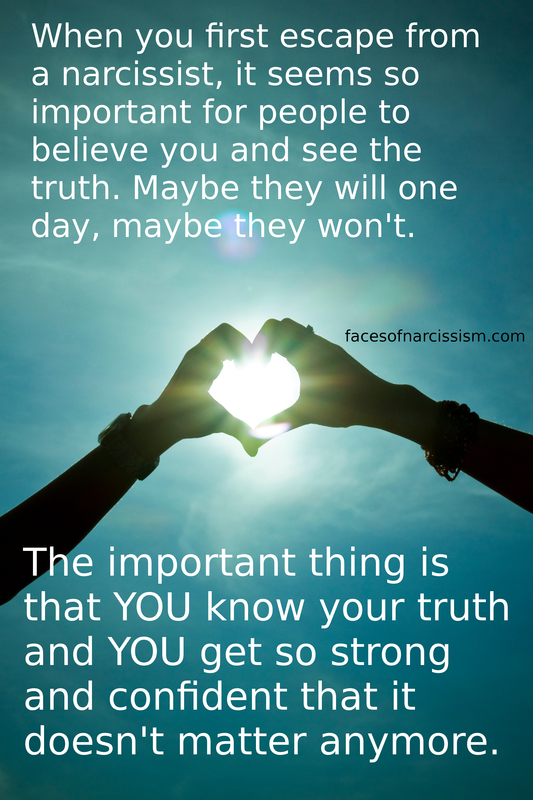 When you first escape from a narcissist, it seems so important for people to believe you and see the truth. Maybe they will one day, maybe they won’t. The important thing is that YOU know your truth and YOU get so strong and confident that it doesn’t matter anymore. Parenting thoughts from a non-narcissist….